Congress legislature party meeting will be held on Wednesday to decide on Rajasthan Chief Minister. Congress President Rahul Gandhi will take the final call on Wednesday on who will be the chief minister in Rajasthan after taking in account the opinion of the newly elected MLAs, a senior party leader said. "Congress legislature party meeting will be held at 11 am on Wednesday in which the elected MLAs of the party will pass a resolution. The observer will seek individual opinion of the MLAs," All India Congress Committee general secretary Avinash Pande said. 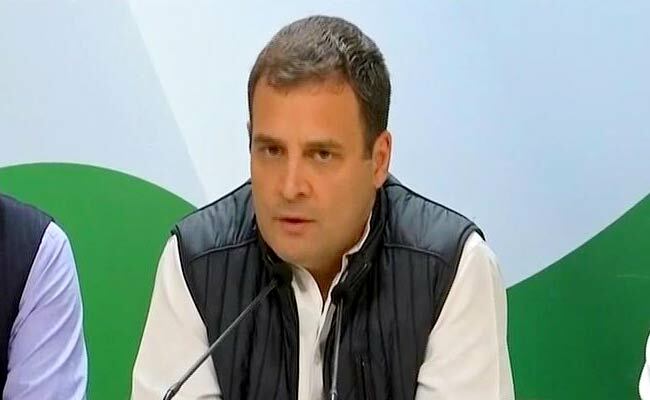 He said the Congress president will be apprised of the feedback and a second meeting of the Congress legislature party will be held on Wednesday evening. The decision on the chief ministerial candidate would be announced after the second meeting, he said. "Apart from the discussion on the name of Congress legislature party leader, several other issues will be discussed in the meeting" he said. When asked whether there is any other name for the post, Mr Pande said that it will depend on the newly elected legislators. The All India Congress Committee has sent KC Venugopal to Jaipur as observer. "We will seek individual opinion of MLAs, view of senior leaders and then the party high command will be apprised of the feedback. As per the party's custom, the high command will take final decision about the leadership in the state," Mr Venugopal said.